Neoprene and polyethylene gaskets have many similarities, but both of them have their own unique properties that need to be considered to function properly. Most of the time, neoprene gaskets are used for large engines, such as for airplanes, trucks, cars, and boats. We use neoprene gaskets to tackle all those situations which require sealing under high temperatures and enormous pressures. A polyethylene gasket can be used for sealing doors on appliances, such as refrigerators, ovens, as a sealing liner around their doors and windows, and to seal lids on jars. Neoprene is part of the polychloroprene group of artificial rubber compositions. It has the capability to withstand a broad range of temperatures, and it is used in the production of wetsuits, electrical insulation, car hoses / belts, and gaskets. Polyethylene is also a synthetic product. Created through the polymerization of ethane, and plain alkine; polyethylene was first made by accident while conducting an experiment. Some sources claims that as much as 60 million tons of polyethylene is produced annually and as mentioned above, used for all sorts of products. The most important points to notice about choosing the right gasket is not only temperature factors, but also the operating pressure and shielding factors involved. 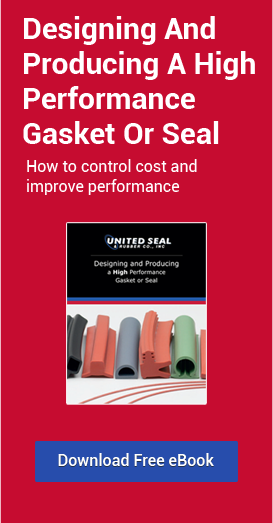 After knowing the properties of both materials, please refer to some of the important points below that should always be considered when making your gasket selection. Neoprene gaskets are typically used in situations where temperatures will be high for extended periods of time. Due to the its high heat resistance. Polyethylene gaskets work very well in situations where the temperatures will be consistently lower. Polyethylene is in the same category as polypropylene gaskets, which require a lot of heat to produce the material. Polyethylene functions good in low to moderate temperatures. Neoprene is meant to provide a more or less permanent seal. Polyethylene provides a seal that can be broken and re -established. One major difference between the two is that neoprene is designed to offer a more permanent seal, while polyethylene has a higher degradation rate. After knowing the qualities of both materials, we must say that both play important roles in the home, the workplace, and in the production of products that people use every day. But, they should never be used as replacements for each other in certain applications.